The system was easy to set up and works great. I do not have a lot of IT knowledge so I needed a system that was not complicated. I am impressed with the quality and clarity of the cameras. You also have the ability to view your footage over the internet using using your cell phone which is a great benefit. My kid sometimes forgets to close the garage door when he leaves for school, now I can check and be sure while I am at work. If you think you may need a cable extension go ahead and get it when you order because most box stores do not have them in stock and it will delay your install about a week. I purchased a cabinet from Home Depot and placed the entire system in and ran the lines into the attic and then to various locations on the exterior of the house. I have the entire yard covered along with the garage. The only thing I could see that needs to be improved with the camera brackets. They work great but they are not user friendly when trying to spin the camera to a different angle. This was only a minor one time inconvenience. Still in the process of assembling all the cameras but so far those assembled are working well picture quality is quite good. I'm pleased with my purchase. High quality product with great customer support and true value for your money. I purchased the Pro Sentinel Security Camera System for my home and it was surprisingly easy to set up and install. The picture quality is top rate and I believe I have added value to my home and peace of mind to my family. I highly recommend this system. 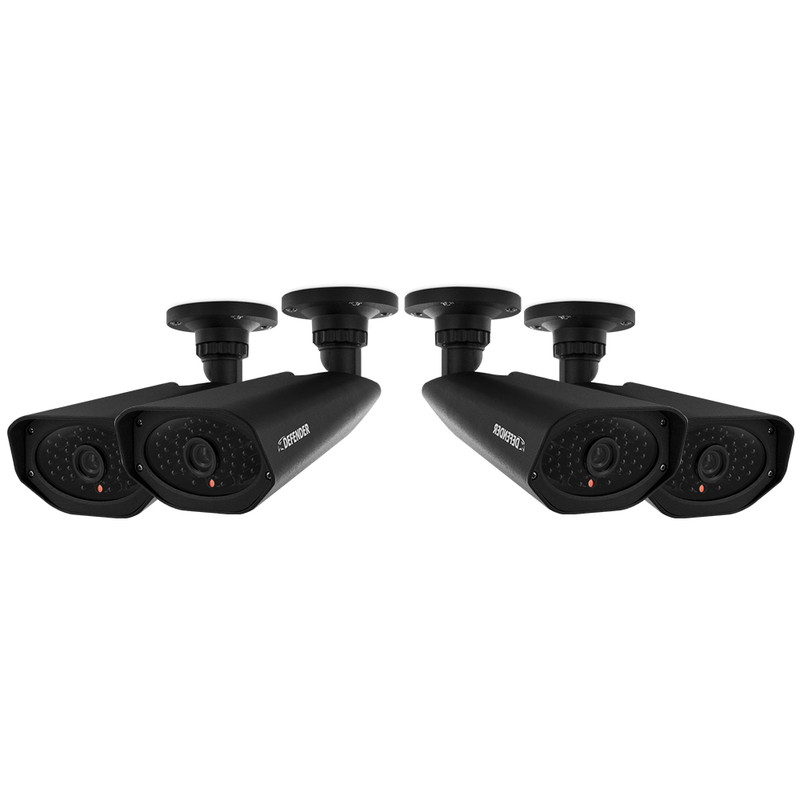 The camera system is easy to set up and good quality for this price. Over priced, NO telephone tech help. Would NOT purchase again!! 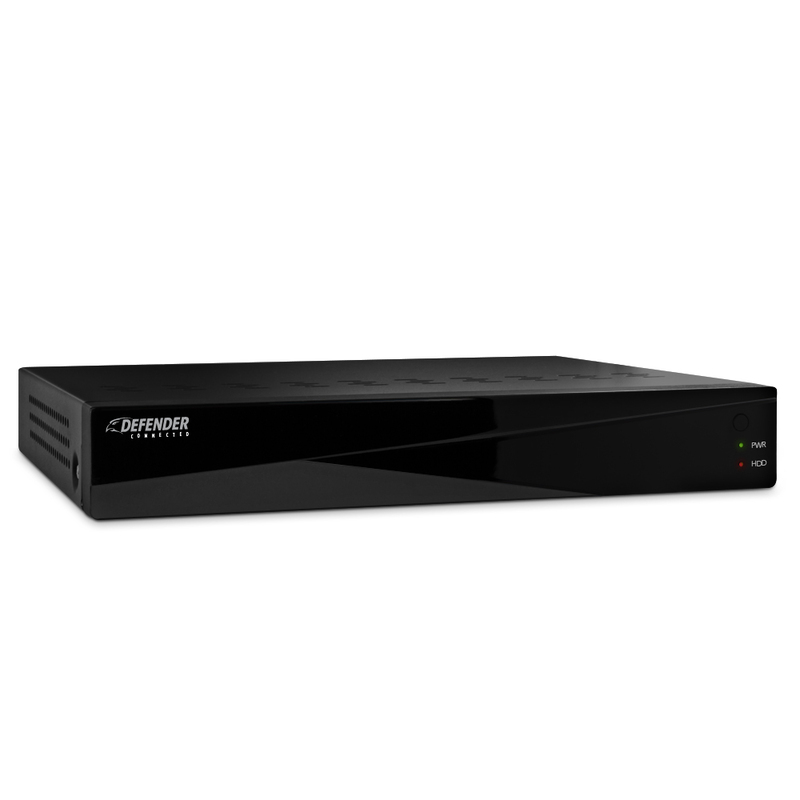 No controls on DVR, not even power switch. I bought this system to replace an older Defender system I had which I passed on to my son's. I was surprised at the camera quality. After several months, I contacted Defender and was initially assisted by Daniela which was courteous, professional, and very helpful. CWD/Defender immediately replaced my camera at no charge. Outstanding customer service! Good produce for the price. Picture quality was better that I expected. Manual could be better but it isn't bad. Some things not well explained. I did sent in one question and Defender promptly responded. Very good product for the price. It is nice product. It can be a little difficult to use. Cameras work great! Still having trouble with the remote mobile view, but I think it might be our internet provider. Also, two out of the eight cameras are starting to not work - color problems. Other than that, the system is great! Everything about this system is great. This camera system is so awesome in all season, even the worst of snow storm. I just love it. I really is a good camera and it wasn't hard to set up. the defender pro sentinel security camera system was a great buy we have them in a soup kitchen inside and outside we would buy them again.. This ia a very good system, easy setup, easy to navigate and good instructions. Excellent night vision. Bought system because of good reviews. Great customer service from Daniela, answered my questions promptly. We live in the country and have had intruders on our property, with this system I can see what is going on without having to go outside. I feel much safer now and my wife loves it. I have 16 cameras and I really like being able to monitor all 16 at once and being able to make any camera full screen to check suspecious activity. My front porch is 60 feet long and 8 feet wide and the night vision IR looks like daylight.